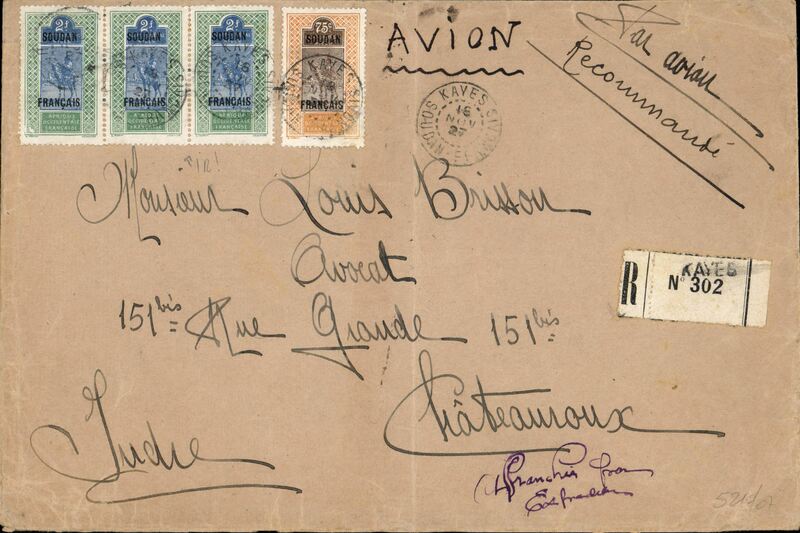 Kayes to Chateroux, bs 29/11, registered (label) airmail cover, 21x14cm, franked 6F75c, carried by rail from Kayes to Dakar, then by Aeropostale to Toulouse. 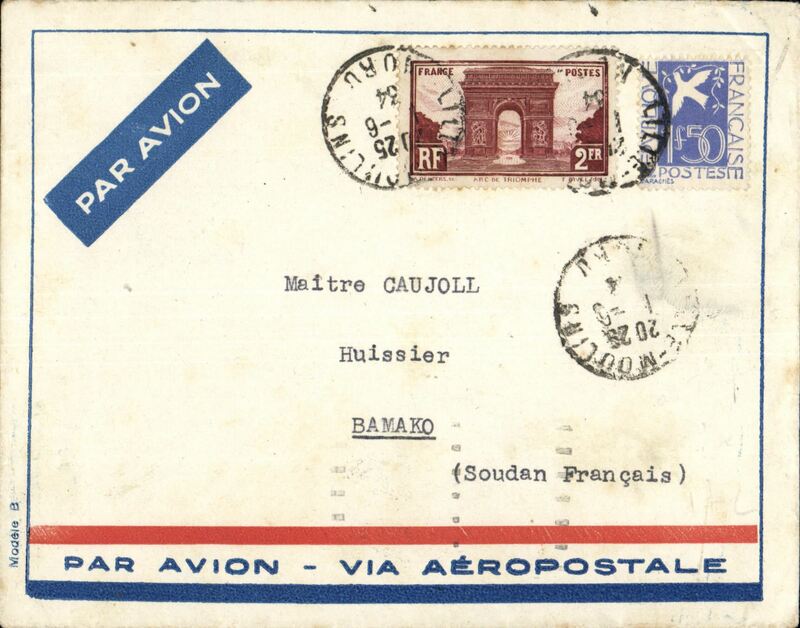 Lille to Bamako, French Sudan, bs7/6, via Dakar Avion 4/6, Aeropostale cover correctly rated 50c overseas postage and 3F airmail surcharge. Nice routing. 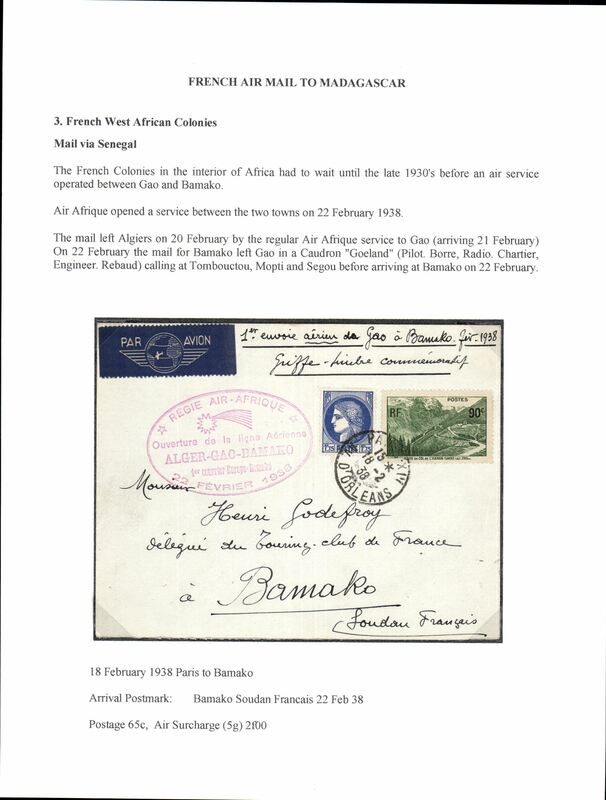 Rare, Paris to Bamako, French Sudan, bs 22/2, carried on F/F from Gao to Bamako in Caudron 'Goeland' by pilot Borre, via Timbuctu, Mopti and Segou, airmail etiquette cover franked 65c overseas postage and 2F air surcharge, official red oval flight cachet.